The Diabetes Education Network is thrilled to offer the 640g System in The Bahamas. 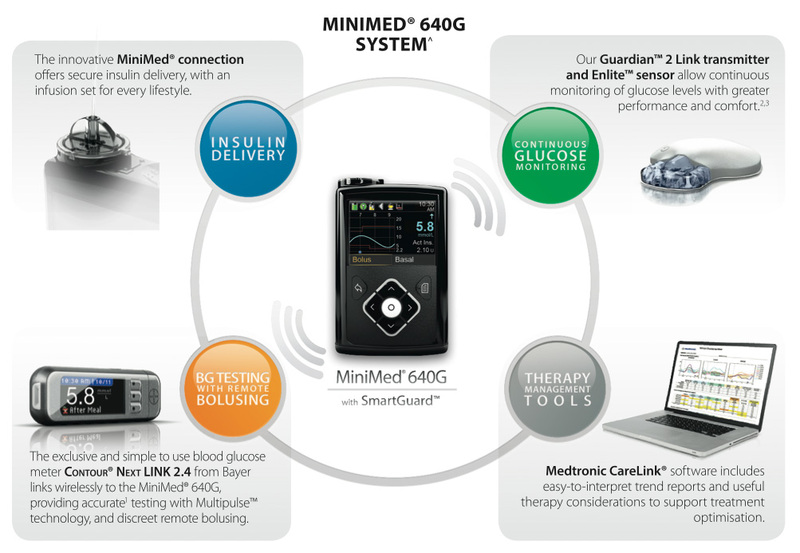 WANT TO FIND OUT MORE ABOUT MEDTRONICS NEW MINIMED® 640G SYSTEM? Many factors can affect your glucose levels, such as diet, exercise and stress levels and you may need a system that can give you better control: a system that thinks**. The MiniMed® 640G System^ features innovative technology to more closely mimic the way a healthy pancreas delivers basal insulin to the body in order to help you to achieve better control. The MiniMed® 640G System can guide you towards better control¹ by providing advanced protection from hypoglycaemic episodes² and offering greater convenience for easier daily management of your diabetes. The MiniMed® 640G insulin pump with SmartGuard™ closely mimics the way a healthy pancreas delivers basal insulin to your body. As part of the MiniMed® system it can guide you towards better control1 by providing advanced protection from hypo events2. All of this with personalised settings to fit your daily life and therapy needs. 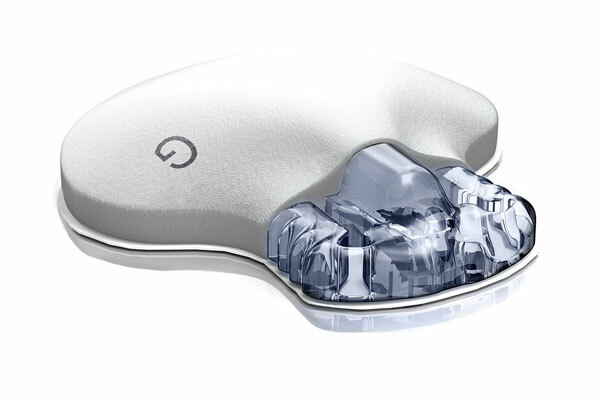 Our infusion sets with the innovative MiniMed® connection are designed to provide a more secure insulin delivery from your pump to your body. 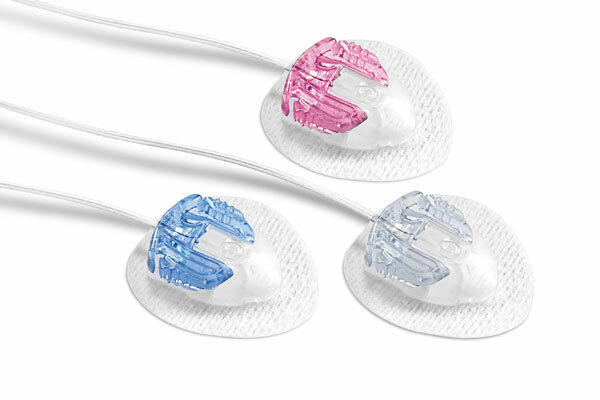 The infusion sets come in a diverse range of colours and styles to meet your lifestyle needs, allowing you to be more comfortable and confident! The Bayer CONTOUR® NEXT LINK 2.4 is the only available blood glucose meter shown to accurately send glucose readings wirelessly to your MiniMed® 640G saving you time and effort. It also allows you to discreetly send a bolus directly to your pump and to conveniently download blood glucose and insulin information to CareLink®. Continuous Glucose Monitoring (CGM) technology tracks glucose levels in your body 24 hours a day. 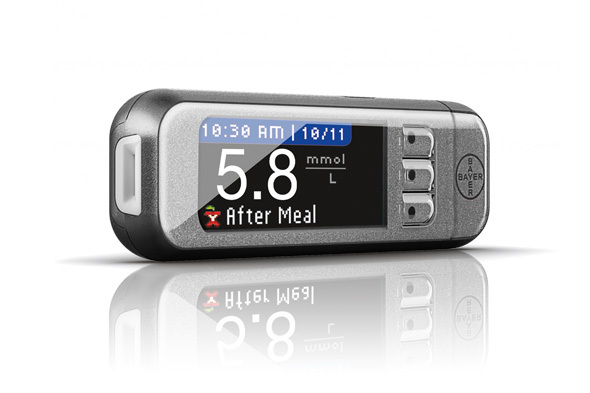 CGM uses a sensor that connects to your MiniMed® insulin pump giving you early warnings of highs and lows. Results show that CGM can lower HbA1c levels1 and reduce the time of hypos3, and aims to improve quality of life. CareLink® Personal Software is a convenient online tool that accurately tracks your insulin usage and glucose levels, allowing you to compare any changes in glucose levels with your daily activities, such as meals and exercise routines. Clear charts and graphs show you these changes and help you and your healthcare provider discover patterns and adjust your therapy for better control. Learn more. Bergenstal RM, Tamborlane WV, Ahmann A, et al. The STAR 3 Study Group. 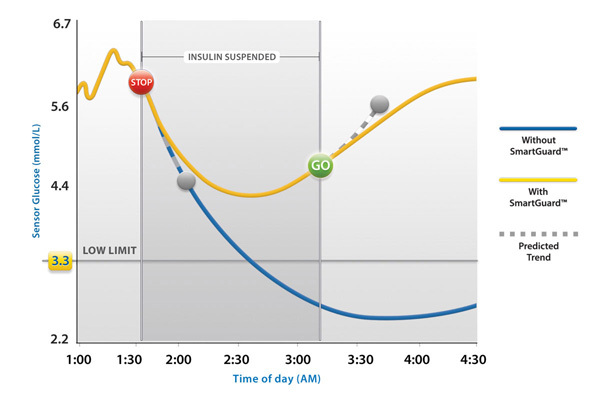 Effectiveness of sensor-augmented insulin-pump therapy in Insulin Dependant Diabetes. N Engl J Med. 2010;363(4):311-320. ^Components sold separately. Automated insulin delivery is made possible through combining Medtronic insulin pump and continuous glucose monitoring technology.